The exclamation point next to a track title in iTunes means that iTunes cannot locate the file associated with that track (original file cannot be found). If you attempt to play one of these tracks from iTunes, you'll receive an error. This is because the music file associated with the iTunes track you're trying to play has either been moved or deleted from the original place that it was stored. When songs were added to iTunes, iTunes saved the file path that it needed to follow every time it needed to access the song. Now that the file is no longer where iTunes expects it to be, iTunes does not know where to find it. Select a song with an exclamation point in iTunes. In iTunes, choose Edit > Get Info. Click on Locate file in iTunes. If you know the location of the track with an exclamation point, point iTunes to it and try to play your content. 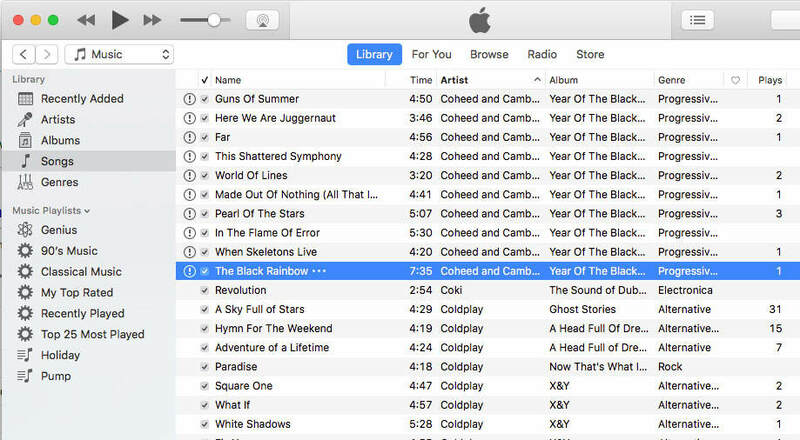 If the music files are no longer stored on your computer's hard drive, it may be best to remove these track listings from your iTunes library. To get a list of songs with exclamation marks, select the 'Missing Tracks' tab at the top of Tune Sweeper. Tune Sweeper will then scan your iTunes library. Select tracks with exclamation marks you wish to remove and click on "Remove Selected Tracks" in Tune Sweeper. Alternatively, you can remove all tracks with exclamation marks in one go by clicking on "Remove All Missing Tracks". Tune Sweeper can help you clean up your library by removing missing tracks, deleting iTunes duplicates and fixing nameless and incorrectly labeled songs in iTunes.